One of the fastest growing investment assets for SMSFs is residential property. In the past four years, residential property acquired through self-managed super funds has jumped 45 per cent to more than $15.5 billion. The popularity of residential properties as an investment option can be attributed to the Government making changes to borrowing rules four years ago, allowing SMSFs to take out a loan to buy investment assets, where they were previously not able. When borrowing, SMSFs have to make sure that the debt is limited-recourse, which means that if the super fund defaults on the repayments the lender can only take the assets that the loan is secured against, even if the value of the property is less than the actual amount still owing. This change was put in place in order to protect retirement funds from losses; however it is not entirely risk free. When borrowing money as a fund member, most banks require a personal guarantee, and the lender has up to five or six years to sue for the shortfall on any loan and another 15 years to enforce any court action. Buying and holding property all the way through to the pension phase will make it exempt from the capital gains tax. Any capital gain or rental income generated by the fund even before the pension phase, is taxed at a rate of 15 per cent, or 10 per cent capital gains tax if the property has been held for more than a year. Superannuation offers one of the best tax structures for those looking for the highest pure net return from their assets. If money is borrowed through super and is negatively geared, the tax offset only applies to other income earned within the fund–not regular income. Fund members cannot live in the property and neither can any friends or family members because of the in-house assets test. This test imposes a limit on the extent to which SMSFs can enter into lease arrangements and certain other transactions with related parties. The property cannot be renovated while it is still under an SMSF loan. Set up costs can run into the thousands of dollars, and there can be higher fees involved in getting a loan through an SMSF. 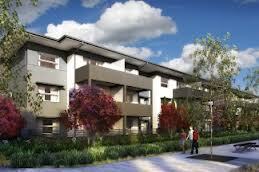 Buying property through an SMSF is generally suitable for funds with $200,000 in combined funds. Buying property through super is an effective way of creating long term financial stability, it is relevant for those who have more super money, for the deposit, at their disposal and are more likely to be able to hold the property until after retirement to realise the big tax savings.